I recently finished this book of short stories by my beloved Maeve Binchy. Oh how I will miss her!! Our dear Ms Binchy left us back in July of 2012 and from what I gather, her husband came across a drawer full of stories, all about people who lived on the same street, Chestnut Street. I believe this was still a work in progress when she passed, but since she is no longer here to complete the project, her husband published them “as is”. 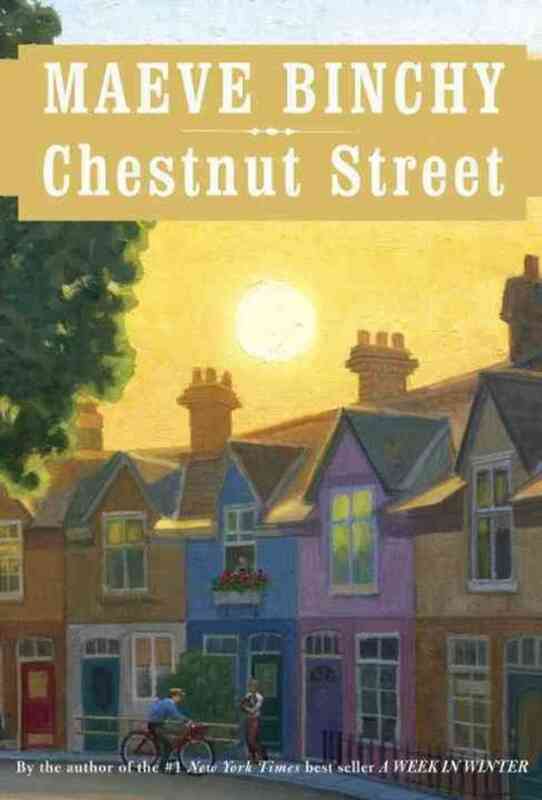 While everyone in the book had ties to, or lived on Chestnut Street, the characters were VERY minimally interrelated. It was more just a book of short stories, written in her absolutely delightful style. I had no problem going from one chapter to the next… it was easy to immediately get caught up in whatever story was in front of me. Some were good enough that she could have based whole books around them, in my humble opinion. I was sad to see it end and sad to see my long running era of Maeve Binchy books come to a close. When people ask me, “Do you ever re-read books?” I normally reply, “too many great books, not enough time” — but in this case, I truly believe I’ll be re-visiting several of hers. This entry was posted in Books 2014 and tagged books, Maeve Binchy, reading, short stories. Bookmark the permalink. Yes such a sad loss to the literary world. I have this last collection of hers, not read it as yet and gave a copy to my sister-in-law for her birthday………..we both loved Maeve so much. So much enjoyment over many years of reading. I have kept all her books, no heart to toss them at all..